This entry was posted in Culture, Japan, People watching and tagged Animals, Asuke, Cats, Cultural differences, Festival, In the streets, Japanese culture, People watching, Strange Japanese things, Toyota City, Weird Japan by Haruko-chan. Bookmark the permalink. Koko ni doushite neko wo hokobimasuka? Why are you holding a cat here? 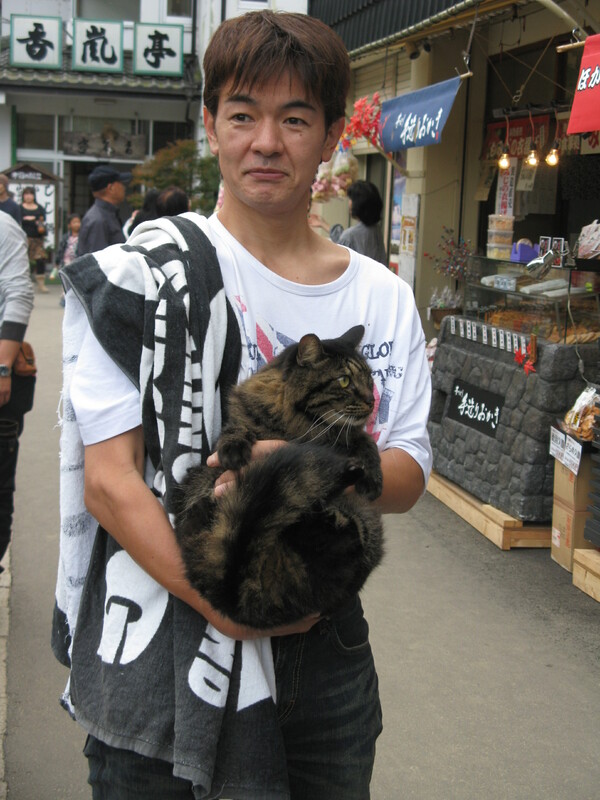 The above for future reference- because now I really want to know why he was holding a cat as well…. neko no te mo karitai = I am so busy I could use even the help of a cat. Are they unique to Japan? I’m sure there are western equivalences for some of these Japanese phrases. 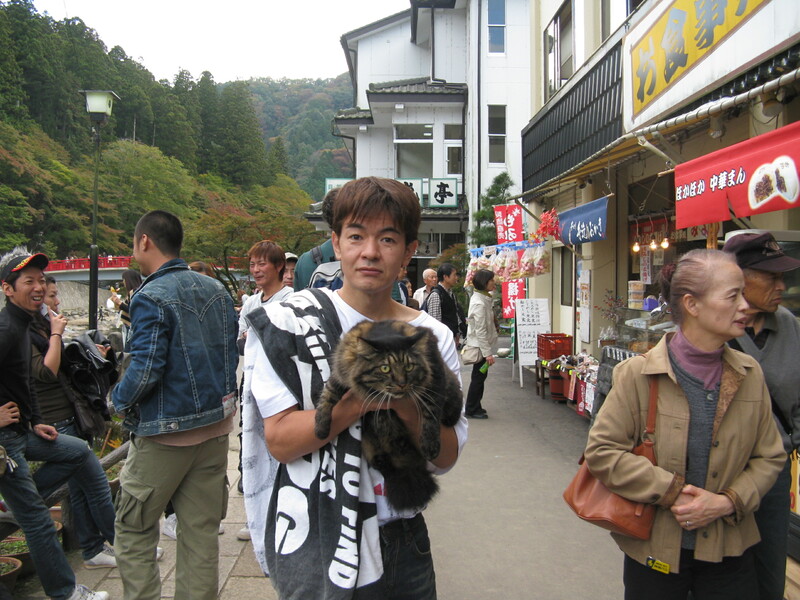 I only knew ‘neko jita’. Thanks for sharing these Yasu-san. I do think the Japanese have a special connection with cats. I’m trying to think of Dutch phrases with cats. The crazy cat lady seems to be a phenomenon all over the world. So I am on holiday in Sofia, Bulgaria this week. One of the first things I noticed when I arrived was that there are so many stray cats. Of different varieties, too. It’s just like Tokyo. Cats everywhere. And some of them try to run and hide as soon as you spot them but others don’t mind staying around and be cuddled (though I never dare). I think it just may have to do with what kind of environment they are in. I later figured out why there are so many more stray cats in close proximity to my apartment than in other neighborhoods. There is one old lady (they are always old it seems) that feeds the cats on a regular basis. I wouldn’t be surprised if she had names for all of them. Anyway, cats are cats and they do what they please but they know who feeds them and that’s probably the most important thing? I can be wrong. I have never had a cat or any other pet. I always love seeing the pictures of cats on your blog. We have old ladies feeding stray cats in Belgium as well. In the town where I live, the cat ladies even organized into a non-profit organization to help stray cats and to neuter them and find new homes for the kittens. I have always had cats myself. My experience is indeed that cats do as they please and that the only way to get them to do what you want is to ask nicely and hope for the best. My cats could be very affectionate, and loyal too, but only if their personal autonomy was respected. I guess that pretty much comes down to not forcing the cat and letting it preserve its dignity. 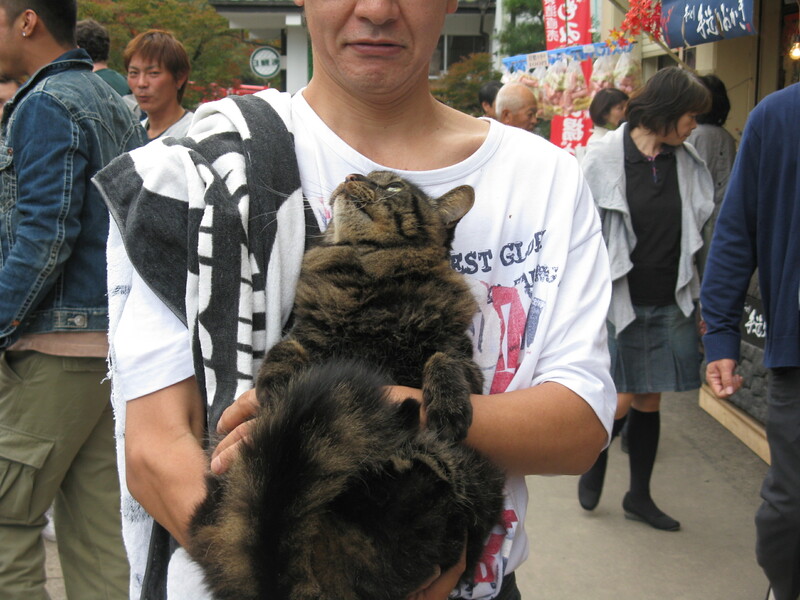 So I cannot imagine walking around with any of the cats I’ve had in the same way as the guy in the pictures is doing. They would wriggle to get free and run away, maybe even scratching or biting me in the process. That is why I was so amazed whenever I saw the things that I described in this post. Totally agree. My best friend’s cat pretty much does the same as the cat with the guy pictured though. He will go out leashed, go on boat outings, i.e. on water, when at home, doesn’t ming being held or perhaps he just bears all of it whether he likes it or not!